Florida’s era of hard times continues. Last week we held a "Jobs Summit " here in Orlando but heard little but self-congratulation by politicians like Governor Charlie Crist. He praised the Legislature’s budget cuts but had little to claim when it came to reviving the economy. The basic reality is this: Florida is not only troubled, but in danger of falling further behind. For example, Suntech China, a solar cell manufacturer, recently worked with the State of Florida to build a solar cell manufacturing plant – in Arizona. Thanks to Florida's unconvincing efforts, this employer decided to call Arizona its new home. The television and movie industry is rapidly expanding out of California into states like New York, Louisiana and New Mexico, thanks to incentives by these states to attract film and TV producers. Florida, with MGM, Universal Studios, Full Sail, and other venues, remains stagnant in this industry. While Central Florida is one of the country's top ten "super regions" of population clusters, it consistently fails to get on the national stage regarding transportation, employment, and return on its federal tax money. For every dollar of income tax sent by Central Florida citizens each year, far less than a dollar comes back in terms of federal spending. Other states, like New Mexico and Alaska, receive our portion of that dollar. Publicly funded capital improvement projects, such as Nemours Hospital, continue to be awarded to out-of-state companies, leaving companies here in Florida, already reeling from the collapse of the real estate bubble, in even worse shape. Florida, which has little onshore energy resources such as oil or gas, has offshore energy resources that could pump billions of dollars into its coffers. Instead the riches of the Gulf are being exploited by Texas, Louisana, and Alabama. 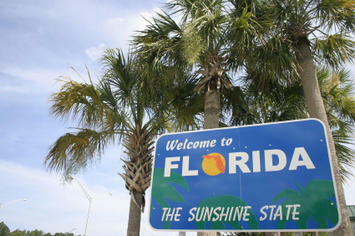 Florida, the "Sunshine State," with vast solar and agricultural potential, has no renewable energy policy. Instead, biofuel and solar research leadership seems headed to Michigan, California and other states. Florida has yet to create a policy of sustainability at a statewide level. Instead, the state relies on growth, tourism, and agriculture for employment, hardly a sustainable policy given the catastrophe of 2009. While statewide unemployment is over 11%, labeled "Great Recession" by the press, those in the design and construction industry face unemployment estimates between 25% and 33%, levels matching that of the Great Depression. Nor are politics in our favor, even though Florida, reversing its generally conservative past, cast its lot with Obama in 2008. But now the promises of Transportation Secretary Ray LaHood in return for the State’s funding of commuter rail seem to be largely forsaken. During the Jobs summit, Obama's railroad czar Joseph Szabo assured Florida that its priority would be yielded to Illinois. High-speed rail in Florida is unlikely in our lifetime. Chicago is simply more important than Orlando in today's politics. Sunshine still can bring talent and jobs. Sure, we are behind right now, but sunshine brought jobs before WW2 when Florida was ahead in aviation training. The mild climate is far more forgiving on student pilots than places where harsh winters ground light aircraft. Suntech should serve as Florida's Pearl Harbor. Sure, we lost one solar cell manufacturer, but that technology is barely efficient enough to be viable. Florida could take advantage of this failure to revamp its poor growth management process, which was the reason for the failure to begin with, and actively seek out the best candidate for research and development of photovoltaic technology that would compete with Suntech and win. Deregulate Power Generation: The Sunshine State should be a net energy producer, not consumer. We could build a conduit to supply energy, through solar fields, up into the Southeast, as well as down into the Caribbean. There is a rather large island in need of vast amounts of clean power 90 miles away that will need this someday soon. Agricultural jobs: The statewide emergency declared as a result of the freeze should be a wake-up call to assist agriculture with some new ideas. Rather than sell dead orange groves out to developers, Florida should assist farmers to convert a portion of cropland to power generation, using solar collectors, photovoltaics, and biofuel crops. Media: This is a no-brainer for jobs. The movie industry grew in California because of the climate but is unionized and regulated to death. It's time for Florida to compete. The next wave of entertainment culture is interactive virtual reality anyway, and the center of this activity has yet to be established, although there is an emerging concentration of firms like Raytheon doing research here. Florida could become a virtual reality technopole if it attracts the right players and provides the right resources. Transportation and the National Stage: For too long, Florida's congressional delegation seems to have labored in the background, and Florida sends too few effective people to Washington. As a state made up of people escaping hard reality up north, we seem to have taken our "live and let live" beach culture too far and it has cost us credibility, capital, and clout. It's time to reverse this trend and get passionate about our worth as a state and our contribution to America in items that matter. As a destination, Florida must rank much higher than Illinois for travel, and high speed rail should be awarded based on need rather than political favoritism. Meanwhile, growth and tourism will come back. They always do. And Florida, instead of losing designers to its competition, could find ways to retain them for the next generation of entertainment and leisure destinations. Housing, presently overbuilt, shouldn't be ignored, but Florida has much to fix in terms of the quality of housing. Public/private partnerships to increase quality of life over quantity are necessary to make housing attractive and affordable and create quality, desirable communities for the 21st century. Florida is truly at a crossroads. For the last hundred and sixty-five years it relied on agriculture, growth, and tourism, but these narrow economic bands perpetuate cyclical booms and busts. Fundamental change can occur if the state’s leadership declares war on business as usual. The state needs to get nimbler to stay competitive when the economy does return. For those who want to stick it out and see Florida through this economic transition, it is imperative that the leadership respond now not just with words, but with actions that effect true, deep, and meaningful change.